Among the changes to this codex, a number of models were rendered, well useless..
sadly this has affected a couple of models I’m quite fond of. Obviously everyone knows Marbo is gone. now I'm a bit miffed form a gameplay point of view cos he was good fun, but i am not honestly that cut about regarding my model, its not my best conversion or paintjob.. still, it’s a model i just cant use now. Now these I am miffed about, these are still some of my favourite models, my priests, I took em when they were crap, and now they aren't I cant use my models, – the eviscerator inst an option for them anymore and they come with an autogun not a shotgun. – by the way, good luck finding the autogun in the codex, it isnt there. nor is it in the BRB. I found a line in something that said it was the same stat line as a lasgun, so meh. shame. Also quite sad about these two. these were my company command bodyguards. sure they could be platoon sergeants, and most likely will be as I put together a blob squad, but that’s not the point, – I don't want to have to get a frankly horribly ugly box of ogryn to use as a bodyguard. I cant see the benefit of that as the nork deddog model is oop. I guess they are hoping that this move will make us buy the box set. If only someone would explain to them that what makes us buy box sets is good models combined with rules…. On the positive side… anyone else interested in sergeants with boltguns? Anyway, that's what the new codex has taken form me, – oh and I need to repurpose a few things obviously as primacy changes codex to codex.. but that's another topic. Haven't got the new codex... are the heavy weapon teams still ONE model with two wounds? I hated that change... suddenly my heavy weapon platoons where rendered very unplayable against anything with T6 weapons. weapon teams remain a single two wound model. Remember everyone magnetise your spotters! Nothing. I'm winding back to 5ed. It is actually a pretty balanced codex. I managed to play on sat vs tau and newish codex vs newish codex is quite a nice experience. None of these are really big issues. Every army has this happen and I've been adjusting to it with all of my armies over the last 20 years. Sometimes it happens and I'm actually excited about it. When Undead got split into Vampire Counts and Tomb Kings I lost 1/3 of my army and had to redo all of my Goblin Green bases - something I'm thankful for now. At first glance you can't even tell my Tomb Kings were mostly painted in 1994. Anyway, the Autogun thing is probably a misprint and its supposed to be shotgun. They added plasma gun because one of the old classic priests had one. The loss of the Eviscerator is a sad one, I have a Redemptionist Zealot as one of my 3 priests and now he's to put aside or counts-as'ed. I thought I saw they had access to Power Fists? If that's the case, then that's what it'll be. If not, I'm not gutted either way. Now if you were all indignant that Codex:Assassins hasn't made a comeback in 5th or 6th Edition, well that I might be able to get behind. My poor Culexus hasn't seen the table top in 10 years and he's one of the best paint jobs I've ever done. Using whatever Inquisition related Codex to get him on the table just hasn't been worth it to me. Oh well. Its one model out of the 1000+ that I own. I may have mispitched the tone.. its not really meant to be a [i]complete[/i] whinge.. and I have been playing a loooong time, let's face it the Grey knights codex made my radial DH army all but obsolete, I'm used to rebuilding and readjusting, its just rare that you have to completely set aside some models. I hope the autogun is a misprint, as for a CC oriented character in a codex not precisely resplendent with them to have only rapid fire weapons as his options would be a bit off to me. and no, no options. priest now come standard with laspitol and CC weapon, options are autogun, plasmagun. The way they keep dicking with the rules... 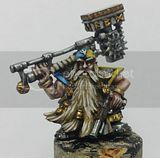 I tell you I am more and more apt to become one of those Oldhammer chaps. Sly Marbo found himself mustered out of my list, too. I had considered adding some priests this time around, but if they can't take an evicerator anymore what's the point? Aye, Marbo died for me too, along with a squad of Penal Legionnaires that I'd converted up. Was mighty miffed about those more than anything, they won me a fair few games! I am - in theory - quite excited about boltguns for sergeants, mind...for Guardsmen that's almost like getting a second special weapon! I miss Chenkov, always liked the idea of him shoving endless conscripts into the meat grinder (even thought I don't play guard)!